Your opinion matters. 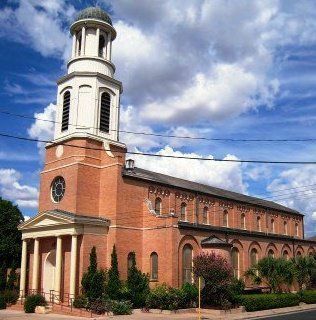 Leave A Review Or Edit This Listing for Our Lady Of Guadalupe. The pantry opened its doors more then 10 years ago. It was started by a group of parishioners and has been running in the basement of the church ever since. Today the pantry is still in the basement, but with some improvements that have helped us have a smoother operation. We have an intake window where the client and volunteer can talk to fill out the intake. We also have a pick up window where the client can go to pick up their bags of food when they are ready. We are blessed to be supported by our church community. We have been a partner agency with the Capital Area Food Bank for more than six years. 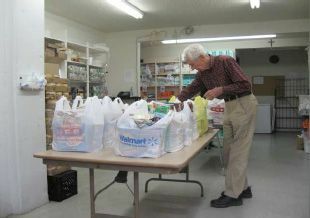 We serve approximately 60+ households a week Volunteers are involved in every aspect of the pantry. They talk to clients when they come in to receive food. They bag up the food and give it out to the clients. They stock food as it comes in and they go and pick up food at the food bank. They assist the food pantry coordinator and social minister in asking for donations. Who we Serve: We serve the 78702 zip code and parishioners in need. We ask that first-time clients bring an id and a proof of address. When we are open: Our Pantry Operating Hours are Tuesdays: 11:30 - 2:30, and on the Third Saturday of the month 10:00-Noon. We always need more information on our pantries. If you know of any details, volunteer information, website, hours or more description information about Our Lady Of Guadalupe please add a comment (below the map on this page), with information. We will then display this for all visitors on this page.